Sometimes your future is right in front of your eyes...You'd think that, as the oldest brother in the King family and the youngest elected sheriff in Timbisha County, Jarod King would be living on cloud nine, but you'd be wrong. 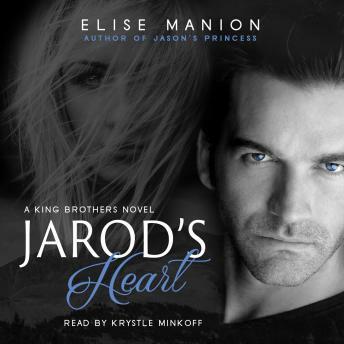 Ever since Miranda left him five years ago for her drug dealer, Jarod has barely been existing, faking smiles and civility for his family's sake. Women are like Kryptonite to him, unless they're helping his department run smoothly-like Lauren Lockwood, his secretary by day and royal pain by night. You'd also think that Lauren, working as administrative assistant to Jarod King, the man she's loved since the day she laid her young eyes on him, would be on cloud nine, but you'd be wrong. Ever since Miranda broke his heart with her deception, he's almost impossible to get along with-let alone love.But when someone from Jarod's past enters their lives, and the drug dealings that destroyed his marriage set up shop in their small town, Lauren and Jarod will be forced to face the feelings that have been brewing inside them since the day they met. He'll have to trust Lauren with the fragile pieces of his heart. Lauren will have to find the courage to give him what he needs, if she wants her greatest dream to come true.